Aerial : Flying Over Farmers Working In Rice Fields. 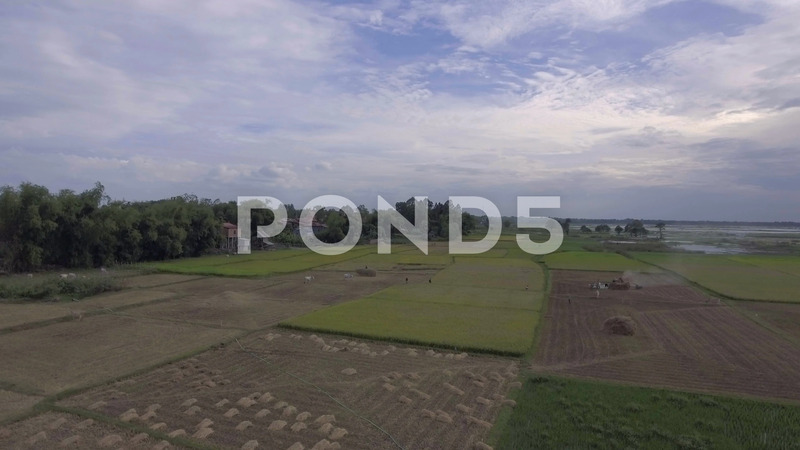 Description: Drone view : Flying over farmers working in rice fields. Some of them threshing rice with a machine on the left side.